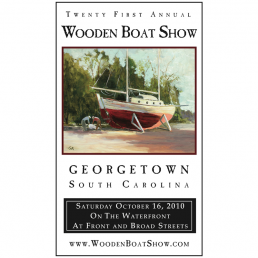 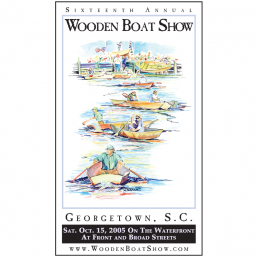 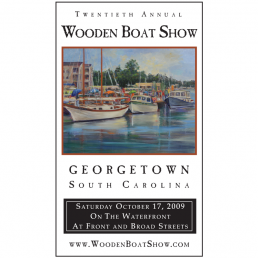 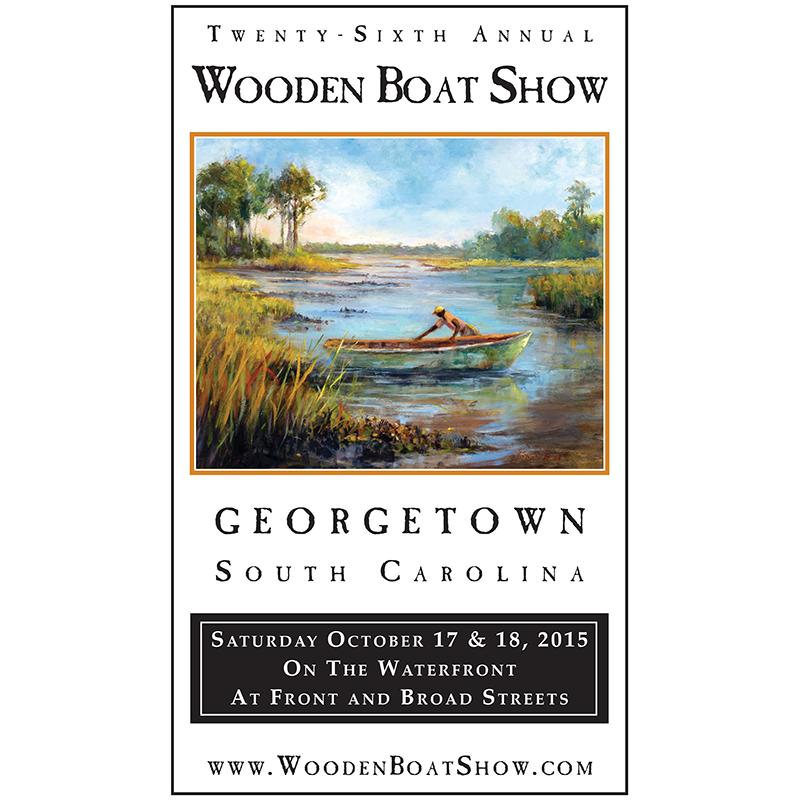 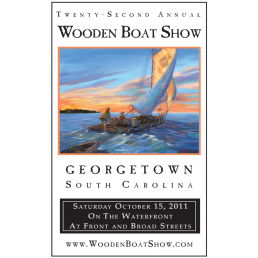 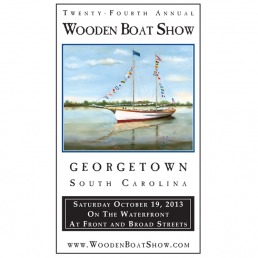 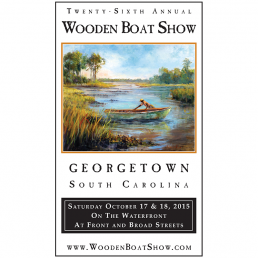 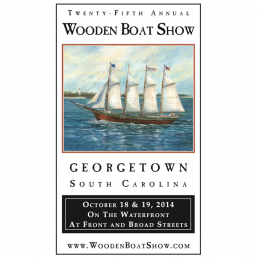 Pat Puckett painted a master craftsman in her artwork titled “Lowcountry Oysterman“ for the 2015 Wooden Boat Show poster, and the image is homage to renowned boat builder Willie Dereef. 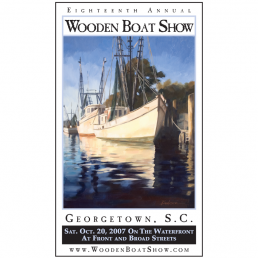 Willie Dereef was born on Pawleys Island in the early 1920s. 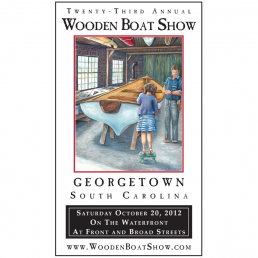 As a child, he learned traditional boatbuilding skills from his uncle, Abraham Joseph, who was born in 1870. 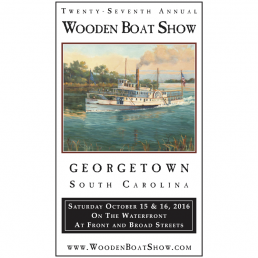 Dereef went on to build more than 80 boats during his lifetime, mostly flat bottom shad fish or river boats popular in Georgetown County. 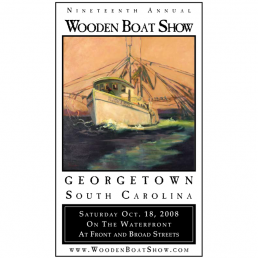 He was committed to the craft and to ensuring the tradition was passed to younger generations. 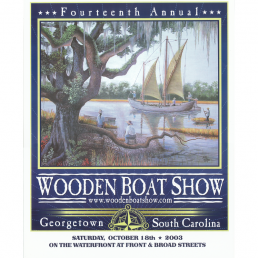 Pat’s painting depicts a lowcountry scene of an oysterman standing behind his small wooden boat, with his legs planted knee-deep in the pluff mud of Oyster Bay in North Inlet. 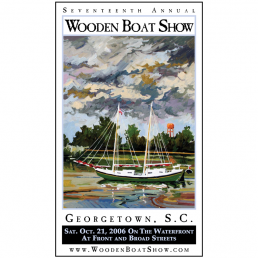 He is gathering oysters from nearby banks, and the fading-yet-brilliant colors of fall are in the surrounding reeds, grasses and trees.